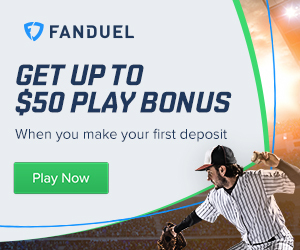 Daily fantasy sports tools and optimizers have soared in popularity with most serious DFS players using some sort of lineup optimizer in helping build their fantasy roster. These tools have become incredibly sophisticated from building lineup stacks in seconds to showing you the best match-ups of the day based on advanced analytics. There is now a plethora of tool sites to choose from which can become overwhelming to beginner players looking for some extra help. Below is our list of the best DFS tools and optimizers on the market today. Our top rated site is NumberFire.com. They are leading the way in next-generation fantasy sports analytics. By throwing out all the garbage and misleading data Numberfire has a huge advantage over the competition with their unprecedented player and team performance predictive models. They handle all the numbers and you cash in on the winnings. Over 200,000 lines of code that interpret over 5,000,000 points of sports information giving you the most informative analysis possible. Optimal lineups generated using algorithmic projections and statistical strategies for risk tolerance and exposures. Their software also generates Vegas picks and bracket picks come March Madness time. You get both fantasy sports and vegas picks all in one. You have access to some of this content for free but it pays to sign-up especially since rotoQL is one of the cheaper options of them all. Prediction machine has many free tools and articles available so make sure you check them out especially come NFL season. Ready To Try Prediction Machine? Do I Need To Use A Line-up Optimizer? It really depends on your long-term goals playing daily fantasy sports. Honestly, if you are just playing a couple times a month and mainly for fun then no I wouldn't recommend paying top dollar at a tools site. 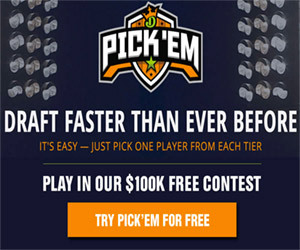 There is plenty of free content out there to help you draft a competitive line-up. That being said if you are in DFS for the long-run and love it then chances are you want to make as much money as possible. In this case, I would highly recommend signing up to one of the top ranked tool sites like NumberFire. You just can't compete with other users who are already taking advantage of these sites having all the stats updated daily and being able to generate multiple daily lineups in seconds. So if you have the bankroll and are playing DFS weekly then yes a tool site will be highly beneficial to you. I would say that depends on your expectations. If your expectations are that by pushing a button, you will magically receive the perfect lineup for each and every night and therefore win boatloads of money, then no don't bother. If you plan on using it as a statistical tool to help guide you and make better drafting decisions, then yes optimizers can be of great benefit. I would never recommend just blindly using picks that lineup optimizers generate day in and day out. However, I must admit some generators I have used (including the top sites mentioned above) have indeed created top 5 placing lineups in GPP tournaments. They are extremely helpful at filling out remaining spots on your roster after you have locked in your top picks of the slate. Lineup optimizers are telling you, statistically speaking, the best players to draft that day based on matchups and adjusting for salaries depending on which site you are playing at. Any professional DFS player will tell you stats are extremely important but they are not everything, your gut and own insights need to be taken into account as well. You do, however, need the help of DFS tools to fill in the advanced statistical side for you if you truly want to be a successful daily fantasy sports player.